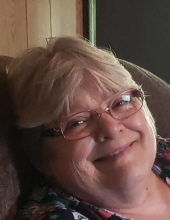 Other than her parents she was preceded in death by her husband, Thomas Abe Comer in 2018 and a step son Joseph Dean “J.D.” Comer. To send flowers or a remembrance gift to the family of Brenda Mae Comer, please visit our Tribute Store. "Email Address" would like to share the life celebration of Brenda Mae Comer. Click on the "link" to go to share a favorite memory or leave a condolence message for the family.